Sales Leaders…It’s time to challenge your status quo. It’s time to look in the mirror and ask yourself, ‘Why is the buyer and seller relationship so dysfunctional?’. I’m finding that most executives, sales managers and salespeople are in such deep rooted routines that they are suffering from tunnel vision. Even when they accept that the traditional methods of selling have damaged the relationship between buyers and sellers, they can’t break their routines or overcome the status quo they’ve created. The status quo has to be overcome if positive change is to be experienced. It’s a critical time and we need to start producing a new relationship that will better serve both the buyer and the seller. If we keep doing what we’ve been doing, the way we’ve been doing it, we won’t experience positive change. In fact, with all the economic factors, we can expect near disastrous results. The core motive of business and selling needs to shift if the actions of salespeople are going to change enough to be noticeable by buyers. The traditional method of implementing a sales process just won’t effect enough positive change. Selling has been taught as a process that was modeled after top producing salespeople, with one missing ingredient…their motives and intentions. 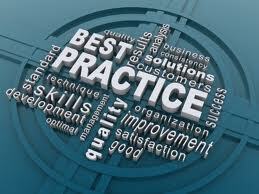 If you want to implement a successful sales process, teach the driving motives and intentions of these top performers. Stop trying to teach them how they sell. Instead, teach them why they sell and they’ll engage and interact with the buyer like a top performer. The intentions and motives of top salespeople aren’t to sell the buyer. Persuasion makes people retract. Ask any psychologist. Top performers know that sales are a result, not the goal. They care enough about the buyer that they want what’s best for them. They aren’t focused on the transaction, so closing isn’t a big deal. They are focused on making customers, not just sales, so they focus on the buyers ownership experience, not the buying experience. This gives them the courage to be open, honest and direct. They serve people and sales happen. These are the motives and intentions that can change salespeople’s behavior and dramatically change their results. It’s time for sales leaders to rise up, take a stand and start helping their salespeople shift their motives and intentions to create passionate salespeople on a mission to serve buyers that will shine a positive light on the buyer and seller relationship. Everyday, salespeople show up to their sales appointments and when a prospect asks,”Why should I buy from you?”, they make a feature, advantage, benefit presentation, explain their companies unique selling proposition or tell them why they are the best choice. When this same prospective buyer ask their competitor, “Why should I buy from you?”, the competitors salesperson does and says the same things. If you want to increase sales, you’ll have to be different from your competitors. You need to look, sound and act different if you want prospective customers to believe you’re different. Businesses selling the same products have to guard against falling into the same routines as their competitors. It’s natural for people doing the same job, with the same human nature, to do the job the same way. That’s the problem, it’s natural. You’ll have to work at not doing what comes naturally if you want to compete, win and increase your sales. Here’s three ways to separate yourself from your competition, increase sales and grow your business. Since most salespeople go to work to make sales, and this drives their behavior, change your intentions to making customers, not sales. This will move your focus from your company, products and services, to your customer. It will make you a better listener, slow you down and change your answer to the question, “Why should I buy from you?” You won’t be eager to make a presentation, instead you’ll want to know more about what your prospect wants to accomplish. You’ll start doing business with people instead of just trying to sell them. Since we get what we focus on, you’ll start making customers instead of just sales and your customers will make you more sales. Make sure you stop trying to find the easiest way to do your job. Stop working to be comfortable and start making changes to your routine. In fact, make change a habit. When you get into a routine that feels comfortable and easy, it’s usually the same routine your competitor is in. It’ll make you look, act and sound the same. Change your routine by looking for the best way to do your job, not the easiest way. Again, it’s natural to look for the easy way to do something but that’s what your competitor is doing, so be different. Stay fresh by changing regularly and stay motivated by knowing you’re doing what your competitor isn’t doing. Besides, routines often become ruts. They are just a grave with both ends knocked out, you can move back and forth but you’re already dead. 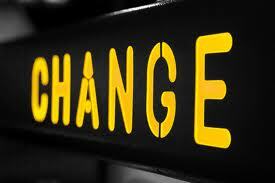 Change will keep you motivated because change isn’t painful, resistance to change is what causes pain. In fact, if you stay out of ruts and embrace change, you’ll pay more attention and notice new opportunities to make customers. This isn’t what you think it is…Most salespeople are people pleasers who want to be liked and accepted. Don’t let being liked and accepted keep you from being aggressive. Make a commitment to yourself to be more aggressive by focusing on helping people as if they were your friends. With friends, you trust your instincts, pay attention and know when they need help. When friends need help you don’t stop asking or trying to help them until you succeed. So, change your focus from being an aggressive salesperson to being and aggressive helper. Challenge yourself to make at least one prospect each month tell you to back off…It won’t happen because you’ll be paying attention and back off before they ask, just like you do with a friend when you start to irritate them. Make the attempt to push beyond your comfort level, ask how you can help, ask to do business with them even when you feel uncomfortable doing it. Be assertive and aggressive in attempting to be of help. You can always apologize and start over and this will make you different from your competitors. You’ll have to be different to get different results…Nothing will improve until you do! Peak performers who successfully achieve their goals or reach the position in life they were pursing, often become comfortable. After reaching a comfort zone, familiarity sets in and breeds boredom which reduces enthusiasm. This comfort and boredom causes peak performers to stop being curious, learning, growing and pursuing new challenges and achievements. Comfort isn’t usually the primary goal of peak performers but sneaks in to sabotage future achievements. We’ve all experienced people who seemed to be comfortable with the status quo even though they talk about wanting better results. Often, these people havebeen peak performers. These same people can agree it’s time for change but go back to what’s familiar and even begin to dig in and fight the change that could create the better results they say they want. Albert Einstein defined insanity as, “Doing the same thing over and over and expecting a different result.” The crazy thing is that people will choose the easy way, or path of least resistance, and expect exceptional results. The real challenge lies in rejecting the natural desire to seek comfort and to start pursuing constant change, growth and improvement. It’s really an issue of becoming comfortable with the unfamiliar and staying outside your comfort zone. Studies have shown people will fight to stay in an unhappy situation rather than move into an unfamiliar or unknown situation that could bring them happiness. It’s giving in to these natural desires for comfort and familiarity that makes most people produce mediocre results. They are the drivers of average behavior. They are the enemies of peak performance. People are naturally more motivated by discomfort than by the desire to improve. People seek improvement until they are comfortable and then they resist change with the same energy they pursued comfort. Coach John Wooden said, “When you think you’re through learning, you’re through.” The most deadly words in the world are, ‘I know that’, because the next thing someone does after they think or say those words is to stop listening, reading or learning. When things get tough and change is needed, comfort often motivates people to ‘hunker down’ and ‘wait’ until things get better rather than taking actions and looking for alternatives to make things better. People don’t achieve their goals that make them comfortable with this dig in and don’t change mentality . Rather, they only stopped moving forward, being innovative thinkers and advocates for change after they achieved their personal goals and reached their comfort level. When bright, aggressive people who were able to achieve their goals start to ‘hunker down’ and ‘wait’ rather than pursuing their next achievement, it is most definitely a sign of comfort or fear of the unknown. This is a natural cycle that has to be overcome to sustain long term peak performance. Peak performers treat comfort as a plateau to be reached. They see them as a pause or place to begin moving forward to their next achievement and opportunity to reach new heights. Peak performers keep climbing because they know if they don’t they risk falling becasue fighting to maintain your comfort level is a recipe for unhappiness and failure. learn, change and grow or begin dying, whether in life or in business. For peak performers, the choice is simple, even though it’s not easy. Peak performers change directions and start again with new enthusiasm. 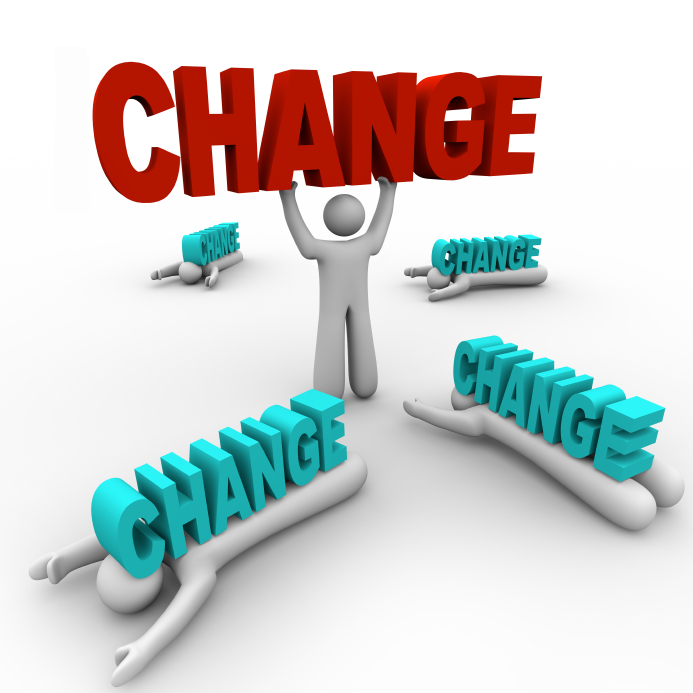 Peak performers are energized by change. They view resistance to change as painful, not the change itself. Peak performers are great competitors. Great competitors usually lose the will to prepare before they lose the desire to perform. When this happens, performance suffers. Too often, people get comfortable with their past achievements or the position they hold and it creates an unwillingness to embrace the changes needed for them to move forward to new accomplishments. We are facing unprecedented challenges today and new thinking, attitudes and skills are needed to achieve peak performance. The exciting news is it’s an interesting time to live and work. The challenge is letting go of past success and starting over without allowing your existing knowledge and experience to get in the way of learning new things. There really isn’t a risk in letting your comfort go because it’s almost impossible to maintain it without change, growth and improvement. Holding on to comfort is like holding water in your hands, it will eventually evaporate, won’t allow you to use your hands for anything else and it’s easier to just find new water when you need it. A peak performers exercise is to set aside a few minutes each day to suspend what you defend. Set aside your beliefs, knowledge and experience while you attempt to learn something that is unfamiliar or unknown. This can even be looking at what you’ve been resisting, take the other side and try to argue its validity to yourself…Just give yourself a few moments to not be defensive and protect your position to see what’s possible. Peak performers re-energize by embracing change and stretching themselves outside their comfort zones. Be careful that the attitude and strategy to ‘hunker down’ and “‘wait’ for things to improve doesn’t sneak in. Be careful you don’t start hiding behind the idea of going, ‘back to basics’ to maintain your existing comfort plateau. Going back in today’s world is usually a bad strategy. This isn’t the thinking that made you a peak performer in the first place, led to your past success nor will it play any part in your future success. In the pursuit of peak performance you’ll have to stop pursuing comfort, resisting change and holding on to your status quo. Instead, you’ll need to challenge yourself to think without limits and become a change agent whose pursuit is achieving all that’s possible. Remember your goals are to be plateaus, not destinations and keep pursuing all that’s possible. Consumers are retracting from salespeople more today than ever. They don’t believe salespeople because they believe salespeople only want to sell them something. Salespeople go to work everyday to make sales and sales managers and companies apply pressure on salespeople to make sales. So, most salespeople start with the same intention and this causes them to behave so similarly that it’s hard to tell them apart. This intention to make a sale is sabotaging sales and chasing consumers away. It’s this intention that makes salespeople needy, desperate and unattractive. New intentions that lead to new behavior are necessary to overcome consumers preconceived beliefs, change this relationship and increase sales. 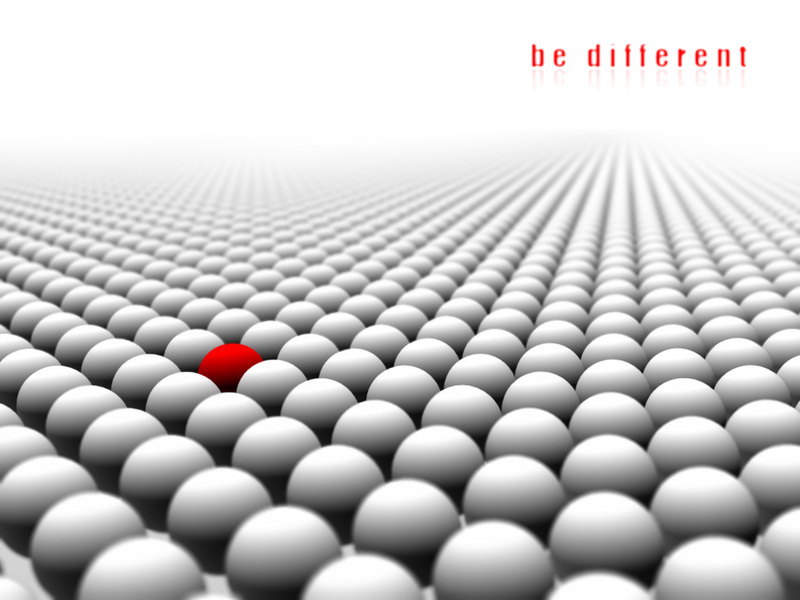 To be different, think different. Start at the core to change your sales engagement with consumers. 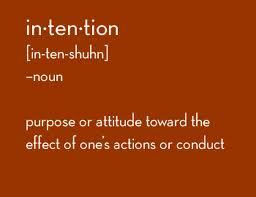 If you want to create bold new results from your sales efforts, shift your intentions. Make this your mantra, focus, purpose, belief system…YOUR INTENTIONS… and watch your sales soar. I will serve you, not please you. I will help you, not tell you. I will care more about your reasons for buying, than my reasons for selling. I will focus on your ownership experience, not your buying experience. I will always do what’s best for you. I will work to make you a customer, not a sale! The biggest challenge salespeople face today is that they are part of a dysfunctional relationship with consumers. Even the salespeople in my seminars, courses and coaching sessions, admit that when they are the consumer, they don’t believe salespeople care about them and because of this they don’t believe most of what the salesperson tells them. These beliefs are reinforced today because companies continue to increase their innovative marketing, creative advertising campaigns and use of cutting edge technology without changing what consumers believe about salespeople. This has resulted in higher expectations by consumers that salespeople are unprepared to meet, resulting in more disbelief and dysfunction. To most executives, marketing and advertising people, consumers aren’t individuals with their own needs, wants and desires; they are buying segments, target groups, prospects and revenue streams. In most cases, all they represent are the ‘orders’. Revenue and profits are generated by the relationship between salespeople and consumers and this relationship is obviously, dramatically, affected by the intentions, attitudes, skills and actions of salespeople. When we started making the bottom line our singular focus and sacrificed the relationship with consumers, this intention spreads to the engagement with consumers and started to sabotage the revenue and profits we were focused on. It’s very much like focusing on winning and not on what produces winning in sports. 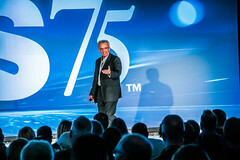 Executives, sales managers, sales trainers and salespeople have all been focused on making sales, not making customers. They focus on sales skills, the sales process or sales tactics to increase sales while also increasing the intention to make sales as the focus. As salespeople go to work with the dominant focus of making a sale, consumers rightly decide salespeople don’t care about them and only wanted to sell them their products. They based this on the attitudes and behavior of the salespeople they engaged. This lack of trust has led consumers to now state in surveys that they just hope the salesperson will stay out of their way. Being knowledgeable, helpful, interested and engaging are not even on buyers’ radar screens of their expectations of salespeople, even as they state that what they want most when shopping, is help! This intention to make a sale creeps in slowly. No one wanted to damage the consumers opinion of salespeople on purpose. A great example of this, is as Peter Drucker said, “The purpose of business is to make customers”. In the recent publication, “Selling Is Dead”, the authors paraphrase Mr.Drucker by saying, “The purpose of business is to make new customers”. This subtle change reinforces and shifts the intention back to making a sale, not a customer. In every sales engagement, the most powerful communication is non-verbal. When a salesperson engages a consumer with the intention to a make sale, it is felt by the consumer and they retract from the salesperson. It also creates the salesperson’s behavior and together they have broken the relationship that produces revenue and generates profits. The consumer and salesperson relationship has deteriorated to the point that consumers no longer believe or trust salespeople. Since everyone is a consumer, this mistrust has spread to the non-sales employees in most companies. Since they believe they can’t trust salespeople, why would they trust the salespeople in their own company? Remember what I said earlier… for nearly two decades, salespeople have told me they don’t trust or believe other salespeople when they’re the consumer! This culture has also invaded the executive branch in most companies. While most management teams today complain that their salespeople are just order takers, the entire company needs to assume responsibility for the culture that created this. Executives, sales managers and sales trainers must realize they participated in this dysfunction and new intentions will be needed to heal the relationship before the skills they’ve been teaching will produce the best results. The good news is that it’s easier today than ever before to separate yourself from your competition, increase revenue and profits by shifting your intentions to making customers, not sales. Preconceived notions stop the people in charge from seeing inefficiencies in their businesses. Old habits, traditions or just plain comfort makes them reject the ideas of those who see the inefficiencies and have solutions to improve them. In fact, if their fear of change or pride becomes strong enough they will often reject and attack the people with the solutions too. 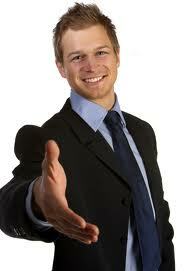 The greatest inefficiency in business today is the dysfunctional relationship between salespeople and consumers. It’s caused by the intention to make sales. The good news is it can be corrected by changing this intention, which would heal the relationship and result in increased sales and sustainable growth. It won’t be easy, but it is actually simple, like most changes that produce great improvements, transformations or start new era in business. We are in transition to the ‘People First Age’ of business and commerce. It’s happening right now. We aren’t in a recession; we’re in this transition to a ‘new economy’. A big lesson form Moneyball is that it’s easy to look at numbers and statistics and then make poor decisions…Success in business is about people, not numbers…When analyzed correctly the numbers should inform leaders how to help their people become successful, or how to select the people who will succeed. Businesses have to change their intentions or face certain failure…It’s this shift in intentions that allows leaders to see the information that’s in the numbers. Just as Kodak, who invented the digital camera in 1975, but refused to take advantage of it for fear it would damage their traditional film business, only to have their film business cannibalized by their competition with the digital camera they already possessed. They had the numbers but their intentions where misplaced and led to their demise! If traditional businesses don’t change their intentions at the point of engagement with the buyers of their products they will be cannibalized by new businesses with the right intentions. Like Kodak, existing businesses have the power to be leaders in this new ‘People First Age’ but one way or the other it is happening and the winners will be those who have the right intentions. The intentions to help, serve and do what’s best for the buyer…The intentions to make customers and not just sales. I am a coach’s son…My father was a leader, visionary, teacher and coach. I was fortunate to have him raise me, teach me and prepare me to become a coach and teacher. I grew up in his coaching office watching game film with him, helping him do game and practice plans, on the practice field and in the locker room. I was on the sidelines and heard the in-game coaching and halftime adjustments. I watched him prepare his players to perform and heard the pre-game, halftime and post-game speeches. I spent time listening to coaches exchange ideas and heard coaches speak at coaching clinics. The last time I spoke to legendary Major League Baseball Manager and family friend, Bobby Cox, he reminded me that I was doing what my father raised me to do…In business, rather than in sports. My father exposed me to many of the great coaches of the past 50 years. Coaches like Vince Lombardi, Bear Bryant, Tom Landry, Red Auerbauch, Don Shula, Chuck Knoll. Then I began to study coaches like Bill Walsh, Bill Belichick, Pat Riley, Phil Jackson, Tommy Lasorda, Bobby Cox, Bill Cowher, Mike Tomlinson, Pete Carroll and Jim Harbaugh. The one who influenced me the most after my father, was in my opinion the greatest coach of all time…John Wooden. My Dad spent most of my childhood, teenage years and early adult life preparing me and helping me refine my coaching insights and skills. As an adult, he and I talked for hours on end about how to apply what we both knew to business. We found that all he had taught me applied to coaching, executive leadership, sales management and salespeople. In addition, every coach I ever played for, every person I ever worked for and every client I every consulted with or trained, taught me something…Every single one of them! 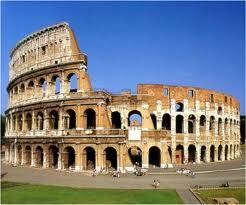 I found that life and business was a performing art just like sports. 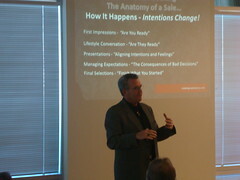 I also learned that salespeople were performing artists just like the athletes he had coached and prepared me to coach. It became obvious to me that Sales Management was a coaching position that required the abilities to recruit, game plan, train, teach, motivate, inspire and prepare salespeople to peak performance while building a team to achieve the best results. After using all I had learned to lead and manage salespeople, I began writing, speaking, teaching and training about what I knew that would help others prepare to perform to their peak to produce their best results. I was blessed in 1996 that John Wooden took the time to meet with me. We spent hours discussing coaching, leadership and teaching. John graciously spent those hours at his home in Encino, California where we shared ideas about how leaders should view winning, losing, relationships and life. He opened up and shared his wisdom and insights and patiently answered all my questions. I lost my father, Charles Moore, in 1992 and John in 2010. I miss them both and feel very fortunate to have called them my mentors and coaches…I love them both. Their influence and impact on me and many others is their legacy and the reason they will never be forgotten. The lessons I learned from my father, John Wooden and the other great coaches have served me well and helped me serve others. The following are some of the highlights from my ‘Locker Room Leadership Course’. I developed it from what I learned studying and sharing with them and by applying these lesson in business. If you learn from these insights, tips and traits of great coaches, they’ll serve you well in your life and business. The greatest challenge facing salespeople today is how to overcome consumer’s preconceived belief that salespeople only want to sell them something, do not care about them and after they sell them, only care about their next sale. This belief is causing consumers to avoid engaging salespeople. It’s also accurate…If you’re a salesperson, don’t get upset, I know you’re different or at least think you are. Ask yourself one question…What’s your intention when you go to work, greet a possible buyer and when you’re making a presentation? If you want to overcome consumers existing beliefs and increase sales, you’ll need to engage people with new intentions. You’ll need to truly intend to help, serve and do what’s best for them and not attempt to sell or persuade them to buy. Changing your intentions will begin to create trust, open communication and allow you to use your skills…But you can’t fake this, it has to be real! Currently, this preconceived belief, stifles quality communication, productive relationships and damages the buying experience. Consumers (buyers) don’t feel comfortable opening up and sharing with salespeople so it becomes nearly impossible to help them. Unfortunately most companies send their salespeople out each day with the primary goal of making sales and armed with this intention salespeople reinforce the consumer’s belief because they can’t hide their intentions. Since most communication is non-verbal our intentions speak louder than our words. How many sales leaders and sales trainers are really willing to do something different? I am concerned that businesses and sales leaders will continue to try to do what they’ve always done and expect things to get better. 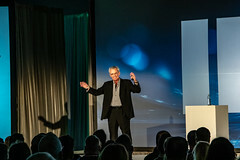 The evidence of this is seen in executives, sales management, salespeople and sales trainers willingness to go, “back to basics” when it comes to sales training, even though it is those “basics” practiced with the intention to make a sale that created the consumers preconceived beliefs and broke the relationship that exists today. People feel what we feel and believe us, only if they believe we care about them and believe ourselves. To be present in a conversation, become a better listener and add value to the buying process, first stop trying to sell or convince people of your reasons to buy and start paying attention to their reasons. Start your day and each sales engagement with the intention to help, serve and do what’s best for people. You can do this to everyone you talk with, feel successful and energized which we know increases sales. The decision to serve, to care about the consumer makes a salesperson someone consumers will want to talk with. These new intentions will activate your listening skills and the consumers comfort level in sharing with you. People will open up to a salesperson or any person if they believe they care about them. This isn’t a skill set to be practiced; it is an intentions change and shift in thinking that must take place as a core belief of a salesperson to effectively change the conversation and relationship with consumers or buyers. This shift in intentions will help you slow down and focus on making customers, not just sales. It will help you focus on the buyers ownership experience, not buying experience and it will make the buying and ownership experience more satisfying. Raised by a father who coached for 35 years, the first lesson he taught me was to walk into a locker room and take in or feel the atmosphere and the energy. He was teaching me what winning coaches did to be successful and I’ve learned how they can be applied by business leaders to create a successful business. He explained that you could “feel” this winning atmosphere if you were paying attention. He also said coaches and leaders manage this atmosphere and it’s in the air all the time. He said it was more important than any of the x’s and o’s of coaching. Growing up listening to coaches’ share their views, thoughts and leadership styles was a huge advantage later in my business career. Listening to pregame, halftime and postgame speeches taught me how to manage and maintain this atmosphere and I share this as often as I can with other leaders. I was always amazed to watch a game or practice with my father or other coaches as they constantly paid attention to how things felt. I realized later that the average ones were focused on their process and not their players. This is similar to business, as we too often get lost in our process and forget about the people involved. Next time you walk into a sales office, store or business, see how it feels. Leaders manage the air. They do this by managing the attitudes, feelings and beliefs of the people in their business, organization or life. This is why a business that wants to make customers must manage its people’s attitudes, feelings and beliefs first. Consumers won’t believe your company is different if your people aren’t and your people won’t act different if their attitude isn’t different. ‘People first leaders’ manage the air or atmosphere generated by people’s attitudes. ‘People first leadership’, isn’t a fluffy fad or esoteric idea, but the first step in increasing sales and growth in business in the ‘new economy’. Its ‘people first’ focus means a leader has to have strong enough conviction to stick to a game plan or strategy when others around them are growing weary or wanting to overreact to unwanted results. ‘People first leaders’ develop people in their business who are mentally tough enough to execute the strategy when others would falter or take the path of least resistance. 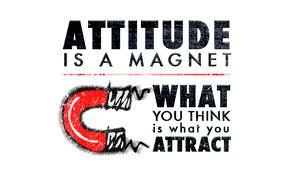 By managing the attitudes, feelings and beliefs of your people, you are leading from where results are born. 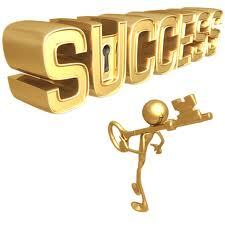 From the attitudes that lead to actions, the results will be seen in your increase revenue, profits and growth. You are leading from an advanced position and not waiting to react to unwanted results that were generated from behavior that was caused by attitudes that were ignored. Leadership at its essence, generates results by getting people to perform at their highest level of competence. When leaders do this they are also growing the level of people’s competence and insuring growth and higher performance in the future. Use the attitudes, skills and actions of great coaches who have led their teams to championships by instilling a winning attitude, mental toughness and the ability to overcome the excuses their competitors accept to be average. Coaches like John Wooden, Vince Lombardi, Pat Riley, Don Shula, Pat Summit, Phil Jackson, Bill Walsh, Bill Parcells, Bill Belichick and many others, win and have won because they ‘manage the air’ or attitudes that produce winners. Ultimately, they are ‘people first leaders’ who challenge others to be better than they would be without their influence. They move people to do the things they don’t want to do that produce the results they want. Business in the ‘new economy’ requires an attitude to make customers, not just sales. Instill this in the hearts of people so that it permeates the air in your business and it will generate improved results and growth. Stop, listen and feel the attitudes in your business. Can you sense the ‘winning air’? If not, get busy and make it a priority, then manage it daily for the best results.